In this new role, Hirs will serve as a strategic advisor to BDO’s Natural Resources practice and work in close collaboration with the national and global practice leaders, Clark Sackschewsky and Charles Dewhurst. Hirs brings a wealth of direct industry experience to his fellowship with BDO’s Natural Resources practice. As a current managing director of Hillhouse Resources, LLC, an independent E&P company with a portfolio of onshore conventional oil and gas discoveries and prospects, Hirs is engrained in the day-to-day realities of the U.S. oil and power markets. Prior positions in the energy industry include serving as partner and CFO of DJ Resources, a Houston and Denver-based independent oil and gas company. Hirs began his career at Mobil Oil and later worked at the U.S. Department of Energy at the Office of Conservation and Solar Energy. He also ran Hirs & Company, a corporate finance advisory firm, where he focused on mergers and acquisitions. “We are very excited to begin working with Ed as a Natural Resources Fellow. 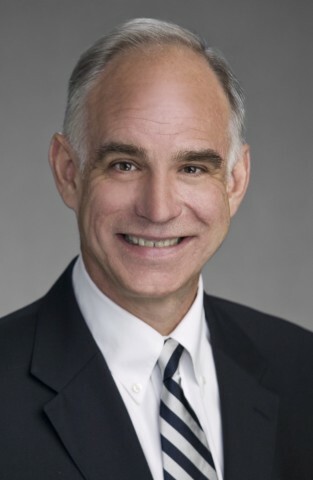 Ed is a well-known voice in the Houston oil and gas market and a prominent energy economist,” says Clark Sackschewsky, national leader of BDO’s Natural Resources practice and tax managing principal for BDO’s Houston office. Hirs teaches graduate and undergraduate courses in energy economics at the University of Houston where he is also a fellow with the UH Energy Initiative. Over the course of his career, Hirs has also taught classes at Rice University, and Yale University where he founded and chairs an annual energy conference. In collaboration with the Yale Graduates Energy Study Group, Hirs frequently publishes research papers on the Social Science Research Network. His energy economic analyses, including insights specific to investment and private equity, regularly appear in national and industry trade publications such as The Houston Chronicle, Forbes, The New York Times, and Bloomberg. Hirs received his MBA, Master of Arts in Economics and Bachelor of Arts degrees from Yale University. He holds the Chartered Financial Analyst designation. BDO’s Natural Resources industry practice provides assurance, tax and advisory services to emerging and established businesses in the United States and all over the world who are involved in both the traditional and alternative energy industries. Our clients often operate across borders either raising capital or making acquisitions abroad. Our extensive industry knowledge is supported by our international network of more than 1,500 offices in 162 countries, allowing us to provide a consistently high level of service wherever our clients do business.